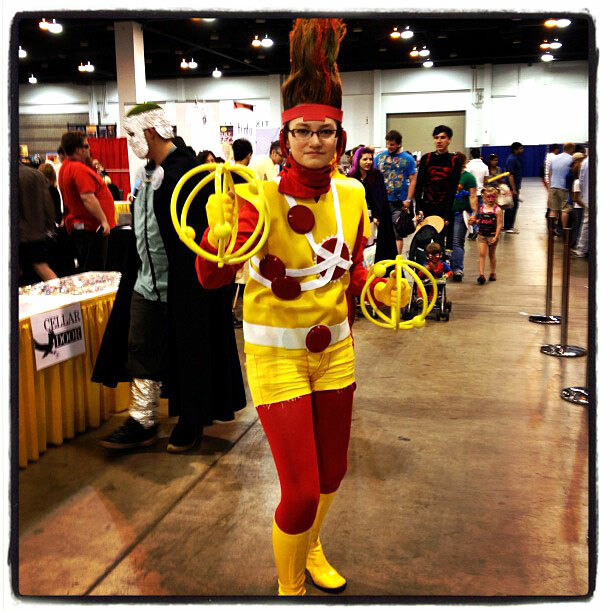 Check out this creative Firestorm cosplay from the Denver Comic Con! 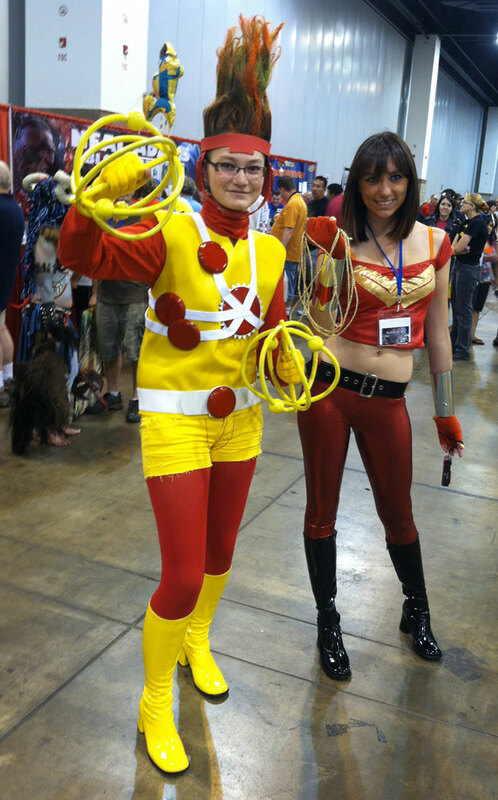 I’m not sure who this young lady is, but I love that she repurposed her own real hair as Firestorm’s flametop! If anyone knows who she is, please direct her to this page. I’d love to chat with her about her cosplaying efforts. If I’m not mistaken, I believe she’s the first woman I’ve ever seen to cosplay Firestorm. I found this first picture below on Paul Horn’s Flickr page. I found this next picture on Peter Rios’ Twitter feed. In fact, this is where I first heard about this Firestorm cosplay appearance. Great cosplaying by this young lady! Just a reminder.. if you haven’t pre-ordered your copy of The Fury of Firestorm: The Nuclear Men #0 from your comic shop, please do so before July 18! Also, please do whatever you can to encourage other comic fans to pre-order this issue! For more details, please click here. Posted in: Cosplay, Firestorm #01: Original (Ronnie/Martin). ← Happy Fourth of July to Firestorm Fans! On the DCMB I once asked Stuart Moore if Jason Rusch was merged with a woman and the woman had to take over the driver’s seat, would Firestorm himself manifest as a woman? And Stuart said yes. I was always hoping this would actually happen, but it never did. Check out the dude with the tinfoil face in the second picture! Great cosplay! I love the tights and boots combination, and the “atomic powers” accessories. @DCC Attendee – Thank you! Much appreciated!